After 30+ years of enjoying astronomy, I finally have the scope I have always wanted; a Tele Vue NP127is. The NP127is is a high quality, easy to use system that is excellent for both visual use and astrophotography. The scope provides an excellent FOV at f/5.2 with tack sharp images to the edge. This scope is a perfect match for my Astro Physics Mach 1 GTO mount as well. If you have a desire to image at a high level, this scope will give you exactly what you need, along with support from Tele Vue whenever you have a question. 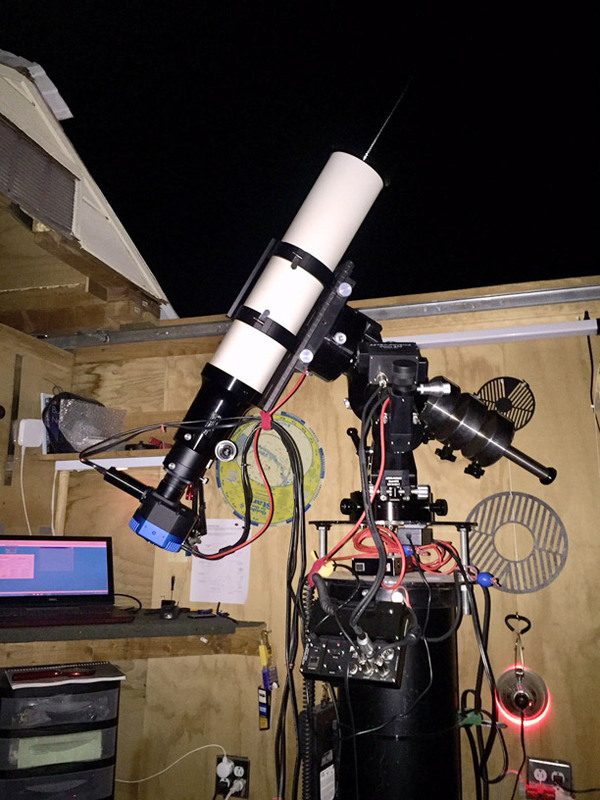 Jeff Bennett’s Tele Vue-NP127is ready to image in his home-built observatory. I image from my own home-built roll-off roof observatory in Ojai, Ca. My skies can be finicky, but generally darker and clearer than other areas closer to city lights. My favorite targets now are deep sky objects, nebulae, galaxies and wide-field reflection areas. I also enjoy chasing comets, but they are often difficult to image at a scale I like. 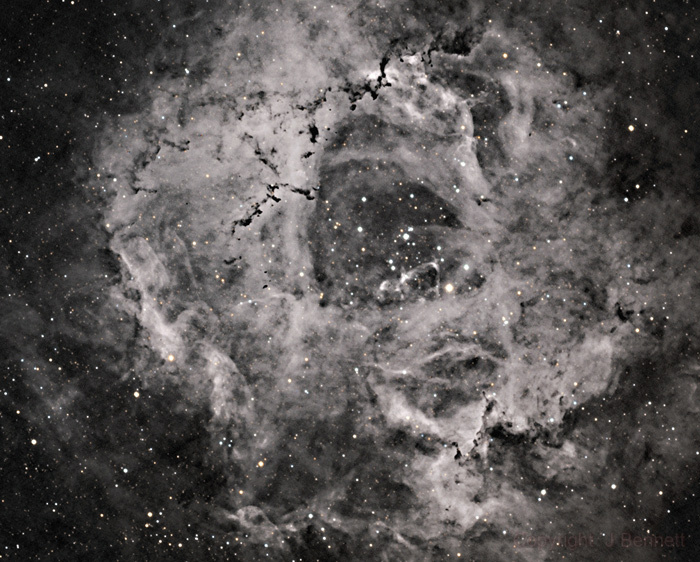 Everything in the NP127is is perfect when imaged under a clear, dark sky. 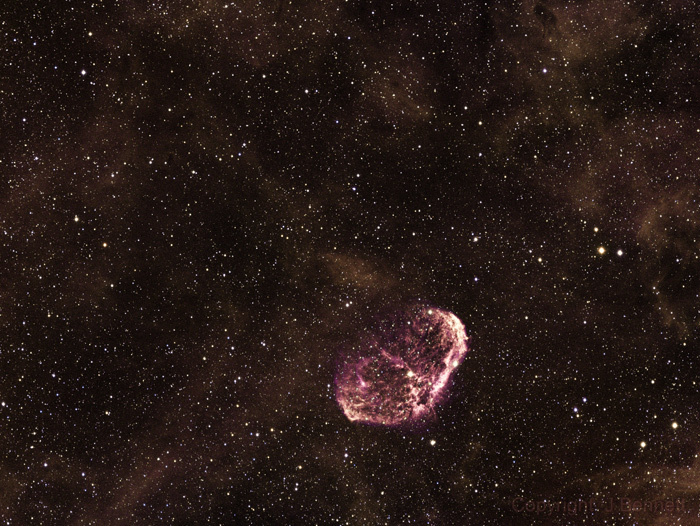 Crescent Nebula by AstroBin user Jeff Bennett. Copyright by Jeff Bennett. Tele Vue TV-NP127is with QSI 683 wsg-8 camera using Astrodon filters (SII 3nm, OIII 3nm, Ha 5nm) for 20×300″ each filter for a total of 5-hrs. June 5,6,7,8,10 & 11 2018. I am 62-years old and still working everyday as a Superior Court Judge in California. My days are often very difficult, emotional and complex. Sitting in my observatory at night under a clear sky gives me peace and a chance to clear my mind after a tough day. This hobby, in addition to others I have, has a good effect on my life and encourages me to really think about our Universe and what is actually out “there” in places we cannot yet see. 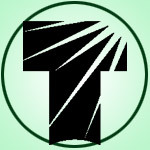 Thank you to Tele Vue for their high quality equipment for amateurs like me, and their never ending support for all of us who enjoy imaging the heavens. 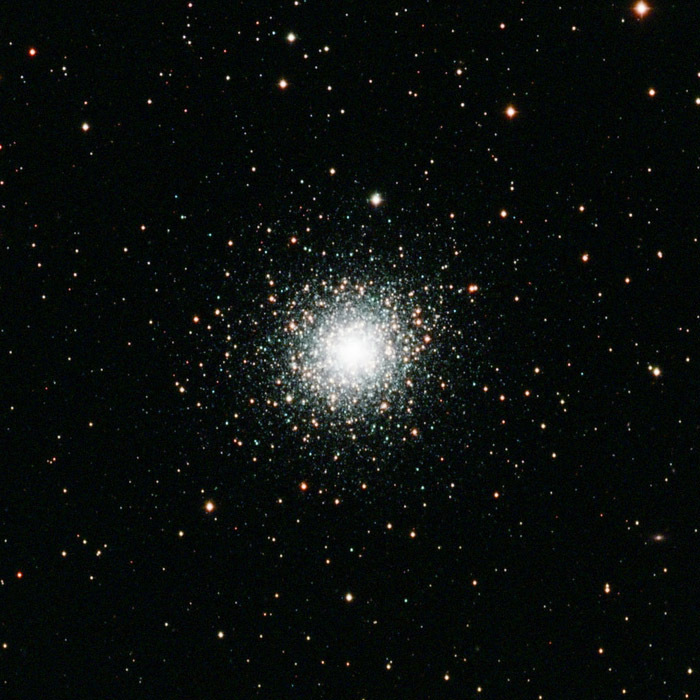 Crop of M92 (globular cluster in Hercules) by AstroBin user Jeff Bennett. Copyright by Jeff Bennett.Tele Vue TV-NP127is with QSI 683 wsg-8 camera using Astrodon LRGB2 filters for 40×300″ (3.3-hrs) total on May 25, 2018.